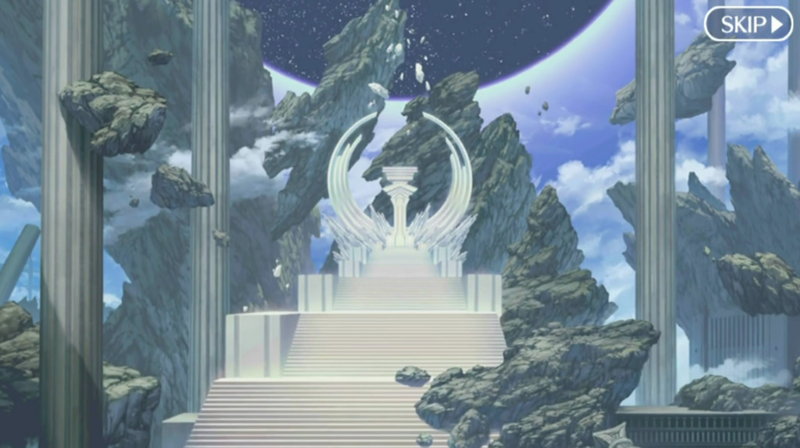 Out of the blue, a tare opened up and out from it came Gravemind, she had made her way into the Summit, the place where the rulers of the world and everything truth be told came to hold meetings and the place where Scathan lost his first battle to a foe he did not see coming. This was the reason Gravemind had come here, she was looking to for this person and was hoping they'd help her with her little goal to rid the world of the rulers that ruled over it currently and replace them with better ones. "Wow this place is neatly cleaned up, it's like someone refuses to let even a spec of dust live on the tables." She said as she started to look around the big room, it was rather lovely for a place used to hold meetings and what have you, but she wasn't here to be star struck by any means. She was here to get help and push her goal into action since this was more or less the final act in the play anyway and not some small step to the big one; she believed that things should be to the point all the time and not drawn out because it would make things boring to the viewers. "I wonder how I should go about summoning or even getting in contact with this person..."
The Magical Orange appeared along with the strange woman and merely hovered there with her, having not much to say nor in mind. He wasn't sure if he should let her know that someone from the Veritas was on the way or not, but at the end of the day, the Magical Orange spoke. "I Have Called For One Of My Family Members," declared the Magical Orange. "She Will Be Here Shortly." That was all he really had to say on the matter. He wasn't really sure of what was going on, nor what he could do. Still, he wanted his powers back, and that was certainly something that could happen. "Why Not Use The Stones To Unlock My Powers?" The Magical Orange asked. "I Can Be Of Great Assistance." "The Stones are indeed powerful, but not all-powerful little pumpkin; if anyone other than Scathan did this to you I could fix it no problem. However, I can't override his law since its the law and these Stones can't overrule that sadly, but this person we're here for can override that law and you'll be back to full power." She said with a smile since it was happy news and telling her little pumpkin good news was always a joyful treat. She took the Stones and tossed them out in front of her in hopes that this would do the trick to bring the one they were looking for out. "I give you the Stones, so show yourself!" She didn't overlook what the little pumpkin said, she was just a little bit busy and didn't have time to respond. "You call and I answer! You bring Stones and I take them, you're here to seek my powers are you not?" A voice said out of the blue, the voice didn't have any form to be seen and yet could be heard loud and clear, it was speaking not mentally but physically as if it had a mouth of its own. The Stones started to glow and before they knew it all of them shattered into dust before swarming into a small tornado that spun for a few minutes before a being appeared as whatever it was Gravemind and Pumpkinhead held closest to their hearts since its actual form couldn't be perceived by lower dimensional beings. The Magical Orange gaped in awe at the being that appeared before him, choosing to observe him in the fashion that he appeared. It was nothing more than the Pumpkinheart, herself, but it still was just Pumpkinhead in Female version. The Pumpkinheart was nothing more than Female Pumpkinhead, and though Pumpkinhead was in love with the Pumpkinheart, she was still just himself as a female. "What Is This?" The Magical Orange demanded with inquisition, "I Thought You Did Not Seek The Pumpkinheart, Yet Here You Are, Summoning A Being That Takes On The Form?" Even so, what she said about there being some sort of way to get Pumpkinhead's powers back was a good thing, since the Magical Orange was limited to certain aspects of Pumpkinhead and not the whole entirety of Pumpkinhead, despite all the cosmic omnipotence the Magical Orange had thanks to Pumpkinhead. "What Shall I Do, Therefore?" The Magical Orange asked, emanating with cosmic energy. She said with a shocked look on her face and yet that looked soon turned to anger since what she was looking at was something she never wanted to ever see again so long as she lived; she was seeing herself yet not herself and it was really freaking with her mind and causing a lot of flashbacks. "Why am I seeing that person!? I don't understand! Is this some sick joke or something?" She wasn't getting it right away till the Network of minds informed her of exactly what was going on and why it was happening. Once she calmed down she collected herself for a moment, but she was still on edge since she couldn't believe it herself. "....I did come seeking your power, so fix my little pumpkin, give him access to all of his powers since Scathan ruled them out and you're the only being I know that can undo what he's done since you two are two of a kind after all right?" She knew that what she was doing was like playing with fire and she still went on and did it since this was more or less going how she saw it going, she just needed him to give the little pumpkin head all of his powers, like all of this and what have you." An intricate pattern appeared in front of the Magical Orange, creating a foreign symbol to this world and known only in the Veritas -- the Tensei Seal -- before shattering open and revealing one of the Royal Family's daughters; Triere Tensei. She was in her signature poofy whitish-blue dress made of crystal and her feet hovered above the ground constantly, never touching the ground as she floated. 6 crystal wings were behind her, making her look like an icy angel, and her ice-colored hair spilled over her neck and curled up at the front to a prominent puff, all wrapped up in a bow at the top. "I Was Summoned?" Triere asked with her nose turned up in the air. Her reddened eyes already proved to show that she was angry, but she felt that her powers were still intact here, including the dimensional ones, which made her smile. "At Least I Feel My Tensei Power Flowing Through Me..." she muttered. Seeing the Magical Orange as it was, she understood the distress call. "Pumpkinhead, How You've Fallen..." She said, since the Magical Orange, though omnipotent, was a weaker form than Pumpkinhead altogether. "Guess This World Couldn't Handle The All Of You, And Now You're Stuck Like This? Am I Right?" That was the only feasible conclusion. "Fortunately My Powers Are Locked In Crystal," she added, "Meaning They Won't Be As Easily Manipulated, Like Yours, Pumpkinhead." Triere noticed that there was something going on here, too. There were two other people here and she noticed that both of them were unfamiliar. "Friends?" she inquired of the Magical Orange, "Or Enemies?" She was just summoned out of the blue with no real information otherwise. She readied herself for battle, just in case. The being paused for a moment at the fact that one of them spoke of Scathan, it wasn't something that was shown outright but suddenly the air became much thicker as if something was literally weighing the air down before quickly letting it return to normal. "That name brings back old times...here I didn't think anyone was around for that reset that was pulled, let alone remembered it." The being pondered a bit since thinking about Scathan made him madder than anything else, but he couldn't go and go off on others because they brought it up now could he? He clapped his hands and pointed at the pumpkin before him and with a simple zap, pow and kaboom the pumpkin would have all of his powers unlocked and returned. "I felt the need to do this much since you brought me the Stones, so your friend now has all of his powers and what have you without any laws holding him back. However, I think we have another friend of yours or is this just someone else who needs the law lifted?" The Magical Orange suddenly teemed with power at the clap of the hands of Goetia, swirling with a cosmic flame that tore through several different dimensions and wrapped themselves around the Magical Orange, filling it up and encircling it until it was a giant figure with a complete burning body and a pumpkin-shaped head. The torn dimensions would end up being sealed up around the fiery being, but the distortions of weakened dimensional energy was apparent all around this being of olde -- Pumpkinhead. "Uuuuuuuwwwwaaaaaaahhhhggggggg..." Pumpkinhead groaned, almost like he'd just been woken up from a deep slumber, "... I'm Back." He looked at himself, seeing his hands were made of his flame, and then down to his body, which was also made of flames. Hell, the fact that he had a body at all was a testament to how much power he had now as opposed to before. "Now, I Just Need To Shatter A Dimension..." Reaching out his hand, he would draw in a great deal of Shattered Dimensional Energy and many cracks in space and time would appear in the palm of his hand. There was a great shatter and all that was left was a pitch black emptiness one could call 'the Void', before the natural Dimensional Energy of this land patched it back up by filling the void with enough energy to restore it. "Excellent..." Pumpkinhead muttered, narrowing his eyes with pleasure. "Now," he went on, feeling benevolent about getting his powers back, "What Do You Need From Me? I Will Be At Your Command For A While," he said, knowing it was good to repay someone for their kindness. "Three Wishes," he said rather definitively, holding his hand up with three fingers. "That's All." "Well, I'm glad that's done with, but now on to the other person here...Are you one of the people I was asking for, you know someone like Zita?" She wasn't sure if this person was as strong or stronger than Zita, but she could feel strong energy glowing off of her and that was something all in itself truth be told. She was all happy for the little pumpkin, but she was more concerned with the new face that showed up out of the blue. "Yes, And No," Triere had to admit. She was only in her 7th Restriction form as she was and Tzita had all 13 Restrictions unlocked when she was at her strongest, but she was no longer the same Zita that anyone knew. "I'm Way More Powerful Than Zita," Triere scoffed, having some confidence in her tactical capabilities way more than her actual physical prowess. "I've Been Studying The Tensei Lore For Eons Now And Have All Sorts Of Powers And Abilities That Come From That." She opened up a Crystal Blue Grimoire that appeared before her from an Ice Seal, reading it from the other side of the dimension where she kept it. "Zita Is More Magically Potent Than I Am, But I Am More Powerful In General, As Long As She Doesn't Take On Her Primordial Form." There was a lot going on with Zita and her transformation into Tzita. "She Becomes The Goddess Of The Zero World, L'sia, The Original Goddess, And Is No Longer Just Herself. She Shares Her Body With The Ancient Tensei Grand Magistrate Mother, Grimro, As Well As Kaerei, The Former Goddess Of The Zero World. That Being Said, It Turns Her Into A Being That Is All Three Of Them At Once, Yet Neither Of Them At The Exact Same Time." "I see this little get together is getting spicy if I do say so myself, but as for what I want from you Pumpkin...All I want is for you to become my eyes and ears around this place since I can't leave this place just yet due to reasons. Next, I want you to make a body for me, one that can hold out long enough without instantly exploding when I use it. Lastly, I want you to help this young woman with her mission." He said all of that in one breath without stopping, he didn't need the wishes but thought that maybe if he used them they could help out in getting him out of this place and also help out the lady who was in need of it since she came here for many reasons. He could've used the Stones, but they were apart of this worlds power and thus would only backfire if used against this world and he knew that all too well truth be told. 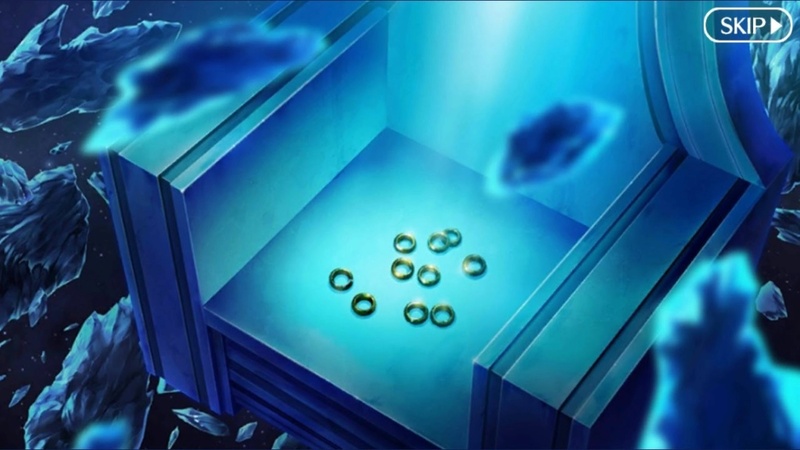 "I need my 7 rings back from the Throne of Solomon and would ask that you all help me get them." "Done!" Pumpkinhead said, finding all of those things to be well within his power. His old body was made for him by his Father, the Scarecrow King, and Khrona figured out how to make Scarecrow Bodies for the same sake -- which were known as 'Devourists'. "It Will Be An Empty Flesh That Consumes As Much As It Takes To Become Full," Pumpkinhead forewarned, "And Whatever The Price Is For Filling It Up Takes, That Is What It Will Consume Until It Is Filled Completely." Making the body wouldn't be difficult, since it could be summoned from Pan Dimensia right now. Pumpkinhead slammed his fist into the open air as if it were a wall beside him and it cracked, shattering open to reveal a pitch dark void of some sort. Sticking his burning hand inside, he pulled out a vessel that was completely made of dimensional material that could hold even the strongest of beings -- as it did for Pumpkinhead and his brother, Tigen, for many years now. "I Will Roam This Land For You, Being, And Will Summon You When I See Or Hear," Pumpkinhead vowed, since that was all that was being asked of him. "You Have My Word On Oath." Pumpkinhead despised oath-breakers, and so to become one hypocrite such as that would simply destroy him on the inside, and he would probably destroy himself several times over in many different ways if he did not complete his mission properly. "And This Mission For This Woman," Pumpkinhead continued on, "What Is It? I Will Accomplish It With Her. But I Must First Know What It Is." Pumpkinhead waited patiently for the answer. As he did, he was pleased that Triere had shown up in his distress call, but he no longer needed her. "Daughter Of The Veritas," Pumpkinhead called out to her, "I Am No Longer In Distress, As You Can See. Therefore, I Do Not Require Your Assistance. You Are Free To Do And Go As You Wish." Pumpkinhead would stay here and fulfill his duties that were promised; the Three Wishes. Wonderful, simply wonderful if I do say so myself, I can't express how happy I am to hear all of this. However, on another note, I am a bit worried about this body because I've never had to swap bodies before now and the last one was able to hold all of myself within it because it was..well, my old body." Goetia was a bit on the edge since he didn't want this new body to go exploding on him the moment he hopped into it since that was going to be the case since he had a lot to put into a small shell so to speak. He pulled the body closer to look at it and made a few alterations to it to fit what he would look like so everyone could see him and not what they held closest to their hearts. "Well, I hope it doesn't pop." He said as he finished up the alterations of the body and once that was done he jumped into it, putting everything that was him inside of it and with the altercations he made it should've worked out just fine. Once inside the body it started to change a bit, trying to adapt to the being that was within it and it looked like it was going to explode, but it didn't luckily. "I feel better now. How do I look?" "Triere I need your help in ridding this world of two beings that plague it to oblivion since my little pumpkin will be busy doing things here and I wouldn't want to take him from that, but I'm going to do it anyway in a sense." She giggled as she cut open another portal and turned towards it, she had things all done here and just needed a few more things from everyone here and those were Triere to help her, little pumpkin to stay with her if he knew how to clone himself and for the newly looking Goetia to aid her once he gets his rings back. "So I need a clone of you little pumpkin, I don't want to let you outta my sight for even a second and Triere I want you to help me even though you're no Zita, I'll taking your boosting as a saying that you're better in many other areas than she." She said as she slowly entered the portal while waiting for a response and what have you. Triere quirked a brow, crossing her arms defiantly at the thought. Though she looked this way, with a look on her face that showed some sort of disdainful disinterest, she opened her mouth to say, "I'm Listening..." She already had work to do for her own family in the Veritas, so she wasn't pleased with making promises to others about helping them do work. Still, she was here in a new world with all of her powers intact, and it seemed like it was because of them, so she was grateful about that. "Enemies?" she finally said. "Fine. But Only Because You Helped My Sweet Pumpkinhead Out." Normally, people had a misconception about Pumpkinhead because of his pent up frustration whenever he had to act, but he was actually quite the jolly sweetheart once you got to know him. It was a 'Beauty And The Beast' type deal with Pumpkinhead. "I Have An Army And An Assault Weapon Filled With Assault Weapons," Triere said. "I'm A Walking Tactical Genius Mastermind And I'm Not Afraid To Go At It." She wasn't bluffing nor was she boasting, but she knew that Zita was no tactical genius and was literally only raw power. For this type of situation, likely there would need to be a bit of strategic finesse that Treire was renowned for in the Lost World. Someone even asked her for her assistance back then, too. "Alright, Here I Come," she'd say, floating through the portal. "Pumpkinhead, Come On. Making A Clone Isn't Difficult, Since You Already Are A Clone As It Is." Triere did not wait up for Pumpkinhead, she just 'followed the leader' to the next location, wherever that may be, to take down these threats of theirs. Pumpkinhead looked at the one he was working for to see how the new body fit him. With the alterations to it, he came out looking like a powerful warrior, which Pumpkinhead was pleased with. "You Look Like A Formidable Warrior," he would say, his flame turning a bright orange with pleasure. "I Can Create A Copy Of Myself, Since All It Takes Is A Spark Of My Flame To Be Detached From My Body." Pumpkinhead spat out a bit of his fire from within him and it became a miniaturized version of himself before his contractor, which would be sucked into the portal along with Triere. Now all that remained was the giant flaming entity and the one to whom he was working with. Pumpkinhead remained ready for whatever was to come next, standing tall and silently, as he normally naturally did. She said under her breath since Triere was clearly all bark and bite and cold at the same time, this was what she needed and it would be a great help for this cause honestly. Once they all walked through the portal they would enter a black plane to where Gravemind would play leader for a while to guide them along the path. "We're going to set up shop and Triere, you'll cause a little bit of havoc to get some attention and I mean to cause havoc by using your actual powers since The Creator and Scathan won't show up unless there's a power that demands their attention." She was actually putting faith in Triere since she was clearly someone who was worthy of it after all and she kinda felt a strange connection to this woman for some reason just like she did with Zita, it was weird. Triere scoffed, flipping her hair a bit. "Easy," she said with a snap of the fingers. At her call, another intricate Ice Seal pattern appeared before them, but it was much larger than the ones she used before -- much, MUCH larger. When it shattered, there was a powerful frost that poured out of the dimensional portal that chilled the entire area, and rising up from the enormous portal opening would be a monstrous living vehicle that looked like a mix between a house, an animal and a fortress at the same time. It was known as 'The Tundra', and its enormity dwarfed literally everything in the area at the time, including Pumpkinhead. It was covered in frost and had many battle-ready weapons attached to it that were all dormant, but ready to be fired at any time. "I Give You 'The Tundra'," Triere said with pride, smiling smugly, "My Mobile Fortress." It was larger than a city, so it could easily cause some trouble anywhere that it would be used. "I Can Also Use It To Amplify My Powers And Use My Powers Through It, So If Need Be, It Can Level Cities And Rearrange Continents." The Tundra was nothing to play with, and to bring it out so early meant that Triere was serious. "So, Where Am I Aiming? The Tundra Will Take Down Anything." "This body is wonderful, I love it and I thank you, my friend." Goetia was most pleased with his body, he loved the way it felt and didn't think someone could make something for him that would last, it was a feat to earn his praise. He spun around before sitting on the air as if he was sitting in a chair; now that he could move in a body again he needed to find a way to leave this place since he was being kept here against his will. "Do you think you can help me escape this place, my friend?" "Huh," Pumpkinhead grunted, nearly wanting to smile. "Nothing Can Hold Me Down For Too Long." Cocking back his fist, Pumpkinhead concentrated a great deal of Shattered Dimensional Energy into his knuckles and let his arm thrust at a burning speed, shattering the sound barrier and the dimensional barrier that kept them all contained within this 5th Dimensional border. "With All Of My Power, We Can Travel Outside Of This Dimension Through The Space In Between Dimensions." It was an empty void, but Pumpkinhead knew how to traverse it to get to a different location. "All You Need To Do Is Tell Me Where We're Going And I Can Smash Another Hole In This Dimension To Get Us There," he declared, taking a step into the Shattered Dimension hole that he created with just a single punch. He said with a clap, it was something to take in since he'd only ever seen a few people display powers this great with his own eyes, so seeing it again brought a smile to his face and that hasn't happened in a long time. Once he saw a way out of this place he took the chance to use it and once outside of that hell hole he felt freedom for the first time in a long time since he was denied that freedom by Scathan. "Open path to the throne." He said and in an instant, a portal opened up and within it sat his throne and his Ten rings or rather Ten Crowns that he was in need of; he floated into the portal and made his way to the throne and once he was there he caused the rings to float over to him and put themselves upon his arms all but two of them. These two rings were for his new friends since out of the Ten he only had six left. 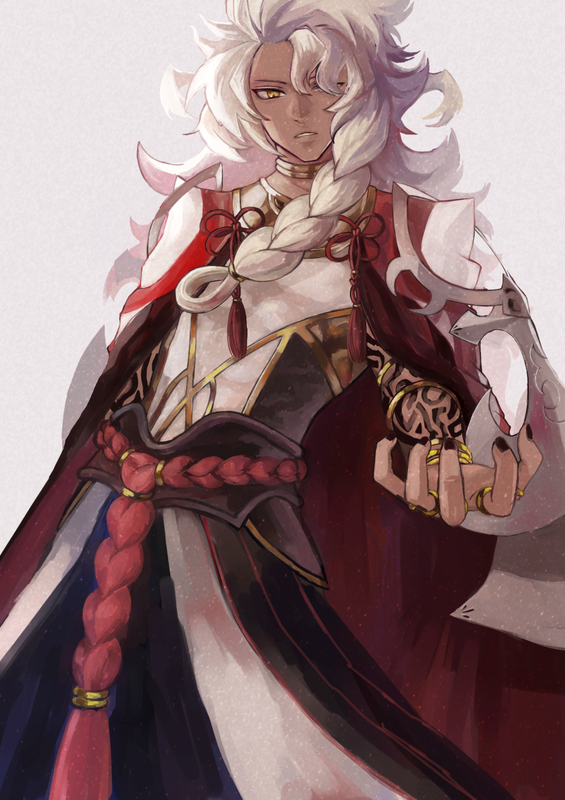 "I give this ring to you and appoint you as one of the Ten Crowns and as for this one, it'll find your friend Triere on its own since she's exactly what the crowns are looking for." He gave them this because they were worthy of them and didn't or rather would no longer have to answer to The Creator or Scathan or any of the Supreme bings for that matter since no one ruled over those of The First Pure Magics. Once that was done Goetia would sit upon his throne and gaze out into the void itself, seeing all he needed to see as he watched Gravemind do her thing; he was most interested in seeing this happen and with his new friend beside him they could watch before the show really started. Pumpkinhead merely looked on as his contractor ascended to power. It was a nice thing to look at, and a spectacle to behold. Pumpkinhead was impressed with his power as well as his throne. "Thank You..." Pumpkinhead would say, reaching out to adorn the special ring, which, instead of being put on his hand like normal, would enlarge and float behind his head like a halo. It began to glow with Pumpkinhead's power and changed colors with his flames, becoming whatever attribute his flame was at the time. Then, it became blacker than black, signifying that it was made of Pitch Black Energy and Shattered Dimensional Energy. "Good..." Pumpkinhead uttered, letting the halo ring now return to its normal, natural form. "This Suits Me Nicely," he said. "What Next?" Next we wait for Gravemind to make her move and cause the little havoc to gain the attention of the two people she aims to remove and once they're out we'll go aid her in removing them since you play a big part in this whole thing from what I can tell." He sat with his fist on his face, he wasn't one to rush things yet wasn't on to wait forever to see something get done; so he'd be waiting for a short while as the others got things set up for the big show as Gravemind put it. "Ah..." Pumpkinhead uttered, waiting patiently along with Goetia. "Then I Will Wait For My Time." Pumpkinhead flickered about as a steady flame, letting his halo ring shift between colors and powers now, just to make sure the ring really did have the power to contain his massive power without breaking. He felt stronger with it, as well, but he didn't want it to shatter under the intensity of the Shattered Dimensional Energy. So he was careful.